Imagine this. You’ve got a paint brush in one hand and a glass of wine in the other. A blank canvas and a full glass. A palette full of colors ready to be splashed and some deep red wine to sip between strokes. Feeling like Picasso already? Say hello to Cork N Canvas, a corporate or social team-building event, led by well-known contemporary artist Gopaal Seyn. Learn from the best, they say. Gopaal, whose team organizes these events in Houston, Texas, is currently Director of Arts for the Sugarland Artist Center. He has exhibited his work around USA and produced illustrations for books and magazine covers. 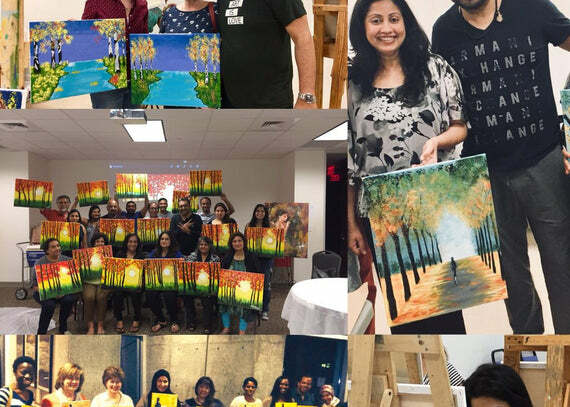 Cork N Canvas not only unleashes the artist in oneself but allows things to be seen differently, which is an important measure of teamwork in a workplace. It also brings together the best of both - left-brain logic and right-brain imagination. Finally, painting, as we all know, is therapeutic. Add wine to that, and it’s the perfect antidote to stress. Bonding outside the boardroom with fellow colleagues will help them mix and mingle in new light and no doubt, leave the team inspired and ready to create. Aprons, paints, brushes, canvases and of course, wine, will be provided by Cork N Canvas and choice of venue could be yours or ours. So you just have to get your creative juices flowing at this immersive learning experience! Book your Corporate Event now. 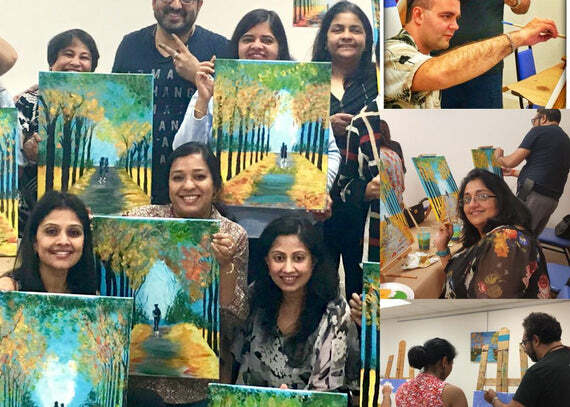 Sign up on https://www.redbluearts.com/pages/contact-us and let us know your preferred dates for a wine-and-paint team-building exercise. Three-hour classes are available for $50 per person. Workshops can also be built custom-made. The coolest part? You get to take home your masterpiece. 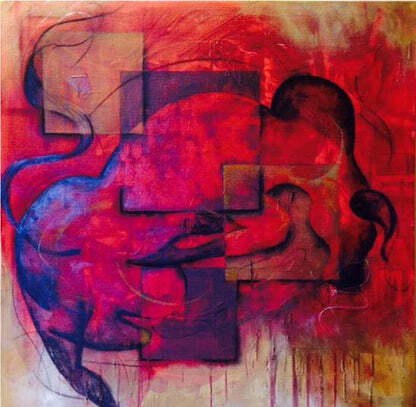 Rest it on the mantel or hang it in your room and let the painting inspire you!